Mike Benedict is a SoCal spearo who started in 1964. 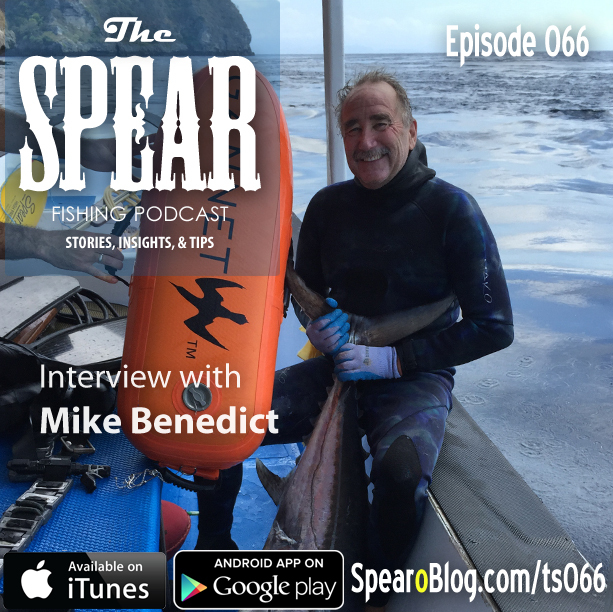 Born in 1954, he saw SoCal spearfishing evolve into what it is today. He joins us to share some of the stories of his beginner days and some of the epic spearfishing adventures he’s been on. How to listen to THE SPEAR on your iPhone via the Podcast App. Replace references to “CRM Talk’ with THE SPEAR. How to listen to THE SPEAR on your Android device via the Stitcher App. Once you have it installed search for THE SPEAR or Roman Castro. Thanks for listening and helping me stay motivated with your emails. Have a great weekend! Thanks for listening! See you next week! Minimum Gear to Start Spearfishing?